I’ve been feeling a little removed for just about everything lately. 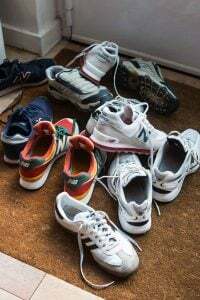 Mired in administrative stuff, I’ve been swamped with paperwork and technical issues – neither of which are really my thing – and haven’t been able to spend all that much time cooking or baking, except for regular meals. (And, er, copious snacking in between.) 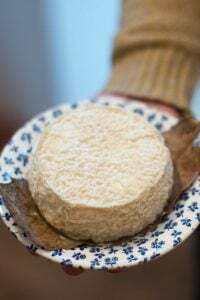 I’ve really missed sticking my hands in doughs and batters and was happy when I took a break from technology and the staggering amount of paperwork that seems to arrive faster than I can process it, and headed out to the countryside. Fortunately this weekend we caught the tail end of red currant season, which are the first berries to ripen in the Île-de-France. There were over a dozen large bushes, each covered with tiny red orbs looking like miniature Christmas ornaments, ready to be picked and cooked into jam. Well, at least the ones the bîches (deer) didn’t eat before we got to them. It’s pretty painstaking work, which is why you don’t see all that many red currants in grocery stores. And which explains why the deers get to them first; they don’t need to fill out all the paperwork around here. And when you do find red currants, they’re not inexpensive. Whenever people complain about the price of berries I always ask them, “How much would you charge for a basket of berries that you picked?” I would venture to guess that just about anyone who picks a basket of tiny currants would not sell them for 99 cents. Fortunately a little goes a long, long way with groseilles and since our bounty weighed in at over five kilos (about eleven pounds), there was a lot of jam ahead of us. And since we used our sweat-equity, they cost nothing but a few hours in the sun, and some red-stained fingers and newspapers. Once all the red currents were all picked, we brushed the cobwebs off the scale and lugged out the grand bassin, used exclusively for jam-making. 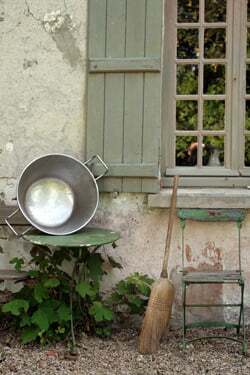 France is the land of single-purpose kitchen pots and pans and you would never, for example, make anything but cassoulet in a cassole, or make Baeckeoffe in anything but a Baeckeoffe terrine. Then there’s appliances like billigs used just for crêpe-making, as well as a granola bar-maker, which I’ve not been able to ascertain what other uses it could be used for. Because there were so many of them, the red currants were cooked in batches. 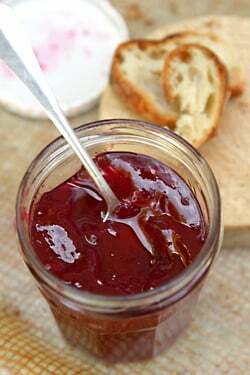 When making jams and jellies, it’s better to make a few small batches than one large one. It not only reduces the cooking time for each, which preserves more of the fruit flavors, but in case you screw one up, at least you haven’t messed up all the hard-earned fruits (and berries) of your labor. During the weekend, I also learned a new word in French: blanchir, which ‘someone‘ French told me means to cook the berries until soft and wilted. I’m not sure how a word that I thought meant “whiten” became the term for cooking something through (I thought it meant “to blanch”), but we had work to do and no one had time for my silly questions. Once the berries were cooked, or whatever you want to call it, we passed them through the food mill and the resulting puree was weighed. The head of this household always uses the classic proportion of one part sugar to one part fruit, and although I use a bit less sugar, as you know, I’ve learned not to argue around here when cooking in someone else’s kitchen. After we had jarred up all the sticky-hot jam and finished up for the day, we headed outside for l’heure d’apéro. 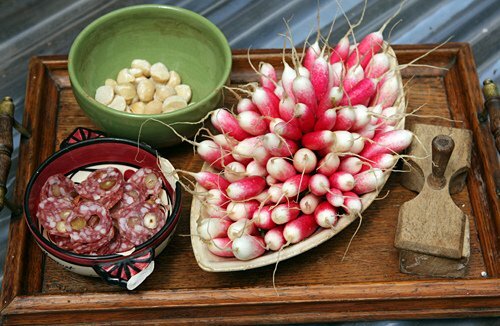 We nibbled on radishes with buttered bread and sausage with hazelnuts. Some of us drank chilled rosé (which I also found out makes you fat, because someone spoke up about seeing a man in a bar with a large belly, and he was drinking rosé…which I guess is conclusive proof of that) while those who wished to remain slender drank the more diet-friendly red wine. We toasted to a few other things, but mostly to the fact that we had enough red currant jam to last us through the next year. Which we were looking forward to starting in on the next morning. You can adapt this recipe to any quantities of red currants that you have on hand. 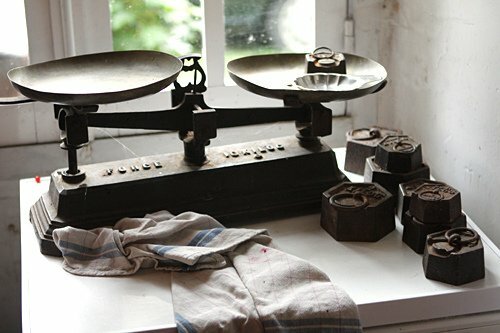 For 11 pounds (5 kilos) of red currants, we used 11 pounds (5 kilos) of sugar, and got twenty-two (12 ounce, 370g) jars of jam. Because black currants are much stronger, if you have those, I suggest finding a recipe specifically written for black currants.When I make jam, I use slightly less sugar and often reduce the amount by 10 to 20%, and add a small shot of kirsch at the end of cooking, not enough to taste it, but to augment the berry flavor. 1. Rinse the red currants and put them in a large pot. Add enough water just so that it covers the bottom of the pot. 2. Cook the red currants, stirring frequently, until they’re soft and wilted. Once cooked, pass them through a food mill, discarding the stems and seeds left behind. 3. Weight the puree. For each pound (kilo), add the equivalent amount of sugar to the pot. 4. 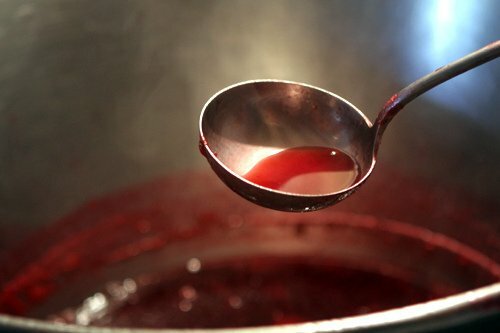 Mix the puree and the sugar in the pot and cook over medium-high heat, stirring until the sugar is completely dissolved. 5. Once the mixture is at a rolling boil, let it boil for five minutes undisturbed. 6. After five minutes, turn off the heat and skim off any scum. (My frugal co-workers in the kitchen save it and insist it’s delicious on plain yogurt.) 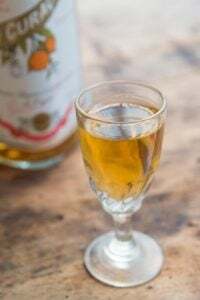 If desired, stir in a few drops of kirsch. 7. 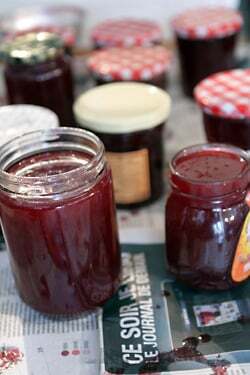 Ladle the jam into clean jars up to the top and screw on the lids firmly. Turn the jars upside down and let cool completely. 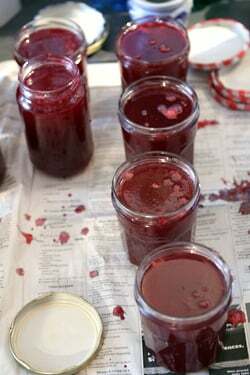 Notes: For testing if the finished jam is jelled, you could use the nudge test: putting a small amount on a chilled plate, and rechilling it for a few minutes; if it wrinkles when nudged, it’s ready. However following the cook who made this jam, she let it boil for five minutes and it indeed set nicely after cooling in the jars. I store jam in the refrigerator, where it will keep for up to one year. 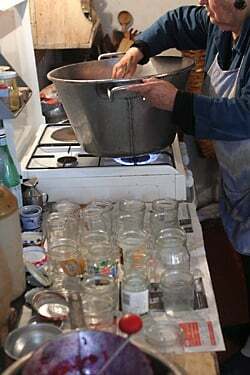 This method of overturning the jars forms an airtight seal but if you wish to can them using a boiling water method, I’ve listed some links below. Yum! I get a few red currants from the farmer’s market every year, and have frozen them in the past… I think its Alice Waters who has a wonderful-sounding recipe for preserved red currants…. they are a beautiful fruit! If the jars are hot and the lids “pop down” for a good seal then can you store them outside the fridge? You must have a large fridge for all those jars! What a joy to have such a stash for the year. Beautiful photos, by the way. Beautiful pictures! I really need to go to France soon! This morning, just a quick look at your blog to see if there was a new post. Before I know its lunch time. That’s the problem with your blog… All those links; From baeckoffe to granola bar makers. From there to yaourt makers. To FNAC books about fromage making, to the Alsace and back to the groseilles jam. I could have used this time to cover my own berries. But that’s too late anyhow. Another year lost. Even the unripe and white variety ones are gone. And so informative; today I learned about the tips of haricots. Although I did have the same feeling as when I heard my ex-grand father in law died because he never rinced with clean water after having washed the dishes. He died of an overdose of “produit”. I love red currents and the colours in your pictures are just fabulous. Thank you for recounting your experience. Rijk: I was in the Netherlands a few years ago washing dishes at someone’s home, and they said, “You don’t need to rinse them after soaping them up. Just let them dry.” I thought that was really odd that soap could somehow magically dissipate into the air. Leslie: I store my jams in the refrigerator, space allowing! Red currants are are abundant in Austria and not too expensive either. 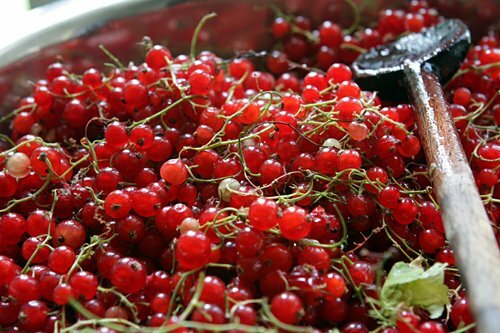 Red currant jelly is used quite frequently in baked goods and available in every grocery store. My favorite cake is a sheet cake, Rote Ribiselschnitten mit Schneehaube, topped with fresh red currants and then meringue. Heaven! This reminds me of the time I visited a friend in Colorado and we picked baskets of red berries around his mountain home and made jam. Now I can’t remember what kind of berries they were, but do remember we had to fight the bears for them…. The pictures are beautiful! I’m looking for an old charming house like that in France. Yesterday I made plum jam because I had a feeling the plums I bought at the market woudn’t ripen in a hundred years. I did put in some cinnamon and it turned out very well (and sweet)! An exceptionally lovely series of photos. Merci David, for a lovely start to a Monday. Beautiful, David! Red currants are the most photogenic fruits around, don’t you think? Alas, I have none to harvest this year – the deer didn’t stop at the fruit, they ate the bush down to twigs last winter. however, now I know you’re becoming more francophile than anglophile: deers? Susie: Ha! That is funny I wrote that. 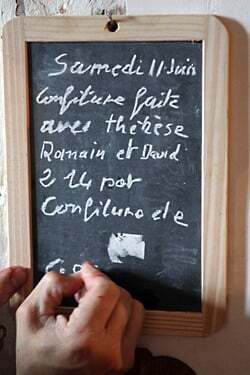 I often have to catch myself when I write (in English) – “In the street…” rather than “On the street…” and other quirks between the two languages. I corrected it, but wonder what the deers and shrimps have to say about it? Please ship me a jar or two! Green bean tips are filled with radiation???? Say what? I’m still caught up by the radiation in green bean tips and not eating tomato skins! Gorgeous photos, David! Can I ask you a non-currant jam question? I recently made some strawberry jam and was not patient enough in the boiling stage and ended up with rather soupy jam. The second time, I used a different recipe and a thermometer and it set beautifully. The first batch is tasty enough, but I’m wondering whether I could try again to get it to set. Do you know if it’s feasible to empty the jars back into my preserving pan and get it to set on a second attempt? Wonderful experience and recipe. I am reading this as I am making a lemony fig jam right now in my kitchen. Great minds think alike. Thanks for the trip à la campagne. A lovely taste of red currant crossing my childhood memories of picking them in my grandma’s garden. Hi Meg: I can’t really comment on other people’s recipes but generally you can cook jam down (again) until it’s the right temperature and “set”. I do caution that if it’s too dark and still not thick, it’s likely there’s not enough sugar (or pectin) in it, depending on the recipe. Although I haven’t made it, you could sleuth out a recipe for ‘freezer jam’ and perhaps turn it into that, which doesn’t involve any additional cooking. The jam looks incredible! Red currants are a bit of a luxury item here – so rarely seen in shops. By the way, I’ve spent all day snacking on the kouign amann I made courtesy of your recipe. It’s utterly amazing, so just wanted to say thanks! Splendid! We’re planting our first currant this year, and hopefully will add another couple next year (with the purchase of 6 new fruit trees too, the budget limited us to one currant). Someday I hope to have enough of a production to make lots of this jelly. I have fond memories growing up of my grandfather’s current jelly. 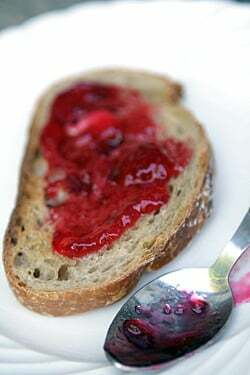 I recently purchased some red currant jam, and it is delicious! I don’t know if jam making is in my future, but it probably should be, since I certainly eat enough of it. My husband thinks I have a problem sometimes. One quick question – how many pints did the recipe yield? Beautiful photos. My red currants are just about ripe. I usually make red currant jelly, but this year I’m going to try your jam instead. Thanks for the timely post. You mentioned the deer eating the red currants. Sorry to have to say this, but I’m glad that I’m not the only one with a “pest” problem in the garden. But I am happy that there were still enough left to pick and make that wonderful red sweet jam. I am just hoping that the chipmunks don’t get my strawberries and whatever has been attempting to snack on the cukes, zucchini, etc out back in the garden!! Thanks, David, the tip about what to look for to indicate it’s never going to set was very helpful! I would *think* there was enough pectin as I followed the recipe on the jar of pectin – but you never know. 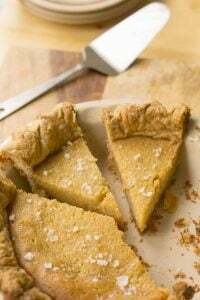 The second recipe called for using jam sugar only, so I have no idea how much pectin there was – except that it was enough! Will report back if I find the time to re-boil it. Thank you so much for including the approximate yields! I realize all fruits are different, but there seems to be a 20% shrink in volume after cooking down the currants. Is this typical? I have to skip over recipes online when they don’t indicate yield. 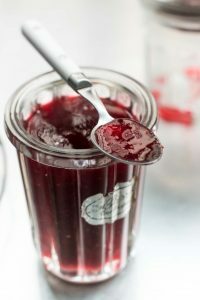 jj and Nevadamtnber: I mentioned in the headnote that this recipe yielded 22 jars of jam (the size as well as the weight of the jars is in the post.) We began with 5 kilos of red currants. 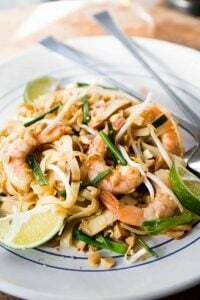 This recipe is intended as a guideline so folks can make as much, or as little, as they wish. So if someone only has 4 ounces of red currants, they can make jam with an equal (or slightly less) amount of sugar. I doubt anyone has 5 kilos of red currants, like we did, but folks who are better at I than math can likely calculate how many jars a lesser amount will yield if that’s a concern. These redcurrants are captured so well! These are looking like glittery red rubies. And those jam jars…I wish I could have one of them! Loved reading the post. Oh what beautiful pictures! I grew up picking currants in our backyard and we always had current jam. Haven’t had it for yeeears now, so this was a pleasant memory. That scale is a nugget of fabulosity. What a gorgeous color…amazing how there are so many different types of red berries, and they’re all so different in color! I admire the patience it must have required to pick all of those currants. oh my word! the photography here is exquisite! how i would have loved to have been looking over your shoulder that day! you brought me so close to that experience though that i could smell the currants bubbling in their juice, hear their little skins bursting, and feel the sweet humidity on my face. just lovely! thank you so much! you’ve brought delight to my morning! In my own past history, red currants were called “gadelles” in French, and “groseilles” were what you may know as gooseberries — totally different berries, with different applications. Oh I do love red currants! Your photos are beautiful and perfectly capture the moment. It’s always fun to get immersed in the bounty of summer fruit. Last year I spent a whole day pitting cherries and making jam with a friend. I came out covered in red juice. It was so much fun. I found a gorgeous copper confiture pan in an antique store in Pennsylvania. I asked the proprietor how old the pan was and he said it belong to a just deceased friend of his who was a collector of french copper pans. This particular one was at least 100 years old. I bought the pan and would like to begin making confiture in it but, the pan is tin not copper on the inside. The copper is only the outside. Will I still be able to use it for confiture if it lacks the copper inside or, doesn’t it matter? Thanks for any advise you can give me. Thank you, Daveed, much appreciated. cheryl: It depends on what the lining was. 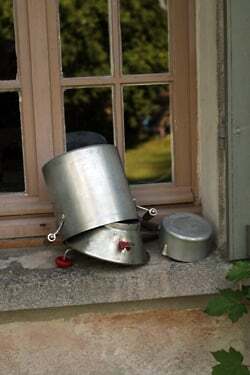 All of the copper confiture pots I’ve seen are solid copper but if yours is tin, it should be fine. Some tin-lined pans should not be heated above a certain point but I’m pretty sure that you can use it for jam. To confirm, check with a place that refinishes copper pans, such as Rocky Mountain Re-Tinning, or another metal refinisher. White: Gooseberries are called groseilles à maquereau but when I see them, they’re sometimes just labeled as maquereau. Red currants such as these are groseille – I’ve never heard of gadelle and couldn’t find anything about them. Perhaps it’s a regional term? Glorious…if only I had redcurrants! !…and the pips weren’t popped out with a goose (not sure if that’s the right bird?) quill… Nice photos! Love the color of the jam, what lovely pictures! Hope I get to make the jam someday..no access to red currents here. Man, I miss groseilles. And cassis. 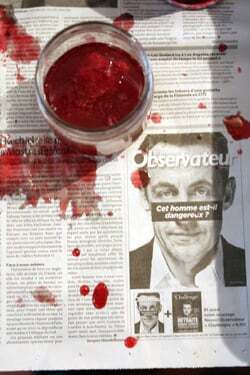 My favorite pic is the one of Sarkozy and the jam. 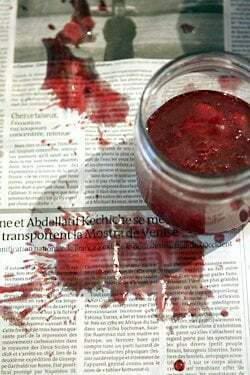 Est-il dangereux avec cette confiture coleur rouge sang au visage? Love it. Ran across your blog while looking for a blue cheese dressing recipe, now you’ve made me miss my red currant bush which I babied for years, and picked pounds and pounds of red currants off of for years. The jelly I made from them was exquisite, and I miss my bush now (moved a few years ago and couldn’t take it with me). 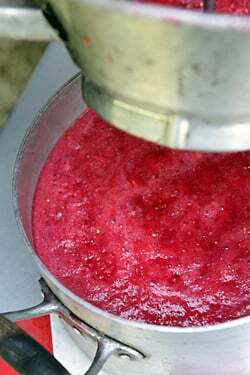 Red currant jelly can also make an extravagant syrup for crepes and waffles. Just warm it up and pour. Also great on venison dishes, and lots of other stuff. I miss my red currants. What a lovely post David, thank you. The photos are gorgeous. The French are so funny. Green bean tips and tomato skins? But no sense in doing anything but agreeing. As we don’t eat much jam I have never made it, but this post makes me want to. I have a nectarine chutney I make and have been wanting to try canning it. Better get busy and really do it this year. I’m trying my best to make my husband, who is a complete non reader, read your book too. It is a not to be missed book. And what a beautiful color on your jam/jelly. I’m with the 1:1 camp on sugar ratio too. I believe the berry/fruit flavor shines even better then. I’ve brought my Perfect Scoop out front and center….it is finally 80 degree weather and time for some ice cream. Thank you for all the time you take to write beautiful recipes and anecdotes to keep us entertained. We all really appreciate it. One thing I’ve noticed is that it’s funny how hyper-hygienic everyone’s become, but folks are content to let everyone touch all the produce in American markets, indoors and farmers markets, that they’re going to be consuming. After living in France a number of years, that’s an interesting quirk. I’m just back from France where I visited a friend who gardens a stone’s throw from the Seine in a bucolic area not too far south of Paris and he said they have no deer in the area. I am not “correcting” you, just pointing out terms I am familiar with, that differentiate more clearly the important difference between a currant (groseillier à grappes or gadelle) and a gooseberry (groseillier à maquereau or groseilliers épineux). As you say, it may be regional. White: I don’t mind corrections and am always happy to learn something new; I just never heard of that term and a quick Google regular search didn’t turn up anything on the first few page or two when I looked, so thanks for sending the link. Looks to be like it’s a Quebec-based word for red currants. David, I was just in the garden and noticed that my black currant bushes have many ripe berries ready to be picked. Then I came inside and discovered your post on red currant jam. Thank you for your perfect timing. 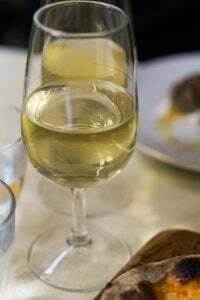 I’m imagining the recipe must be similar, but do you have any experience with the black variety? Thanks! I have never heard about the method of overturning the jars, i will do with the traditional boiling water method like my mother used to do. Thank you! I think is time to back to the basic because the food industry is killing us ! Wow – that looked delicious and your pictures were – once again – spectacular. The pictures of the country-side reminded me of when I lived in Sicily. Good Luck with the paper work and have a great day! 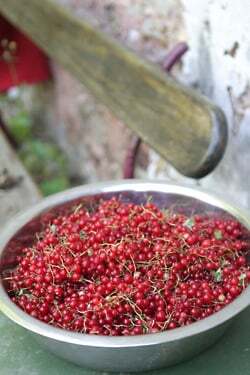 I love red currant jam, its one of my favourites and miss not have my own red currant bushes as I once had when I lived in the UK. Red currant is best with game and roast lamb. Hi David: After reading your post I have just been out in the garden to inspect the fruit patch. Redcurrants are coming along nicely, and I’m looking forward to making them into jelly. The blackcurrants, not so many this year after last years rash pruning – I am hoping to make them into a thimbleful of cordial. But – the whitecurrant bush is looking even more healthy and I don’t know what to do with these! So, please do you have any suggestions? Should I make them into jelly the same as the redcurrants? I don’t recall ever seeing whitecurrant jelly, and they seem more delicate somehow. I can see you already have answered lots of questions from this post, so thank you for all the extra info too! Ah, les groseilles… I remember having to look that word up in my phrasebook when trying to select jars of jam in Paris. You’ve basically described any experience shopping, cooking, or dining with my mother. Except since you’re not a woman, you didn’t get to hear the bit about how your ovaries will be irreparably damaged by lifting that heavy bag of groceries. Oh! Heavenly! Beauty! The color is sublime and I can only imagine how sweet and delicious the jam was. Exquisite house in your pictures. Maybe you should have a second career as a photographer for ‘interiors’ magazines specifically shabby chic. I have found from experience though that these sorts of french houses although absolutely gorgeous to look at are absolutely hellish to live in in winter. Funny how older French women like the lady in your photos do shabby chic so effortlessly well. gorgeous pics and too funny post. ca fait rever. i think the red currants look like little rubies – they give me a shiver when i see them in the markets. and the jelly is so beautifully translucent. before globalisation it was possible to buy them in england cheaply. now they’re expensive as everywhere. though not so difficult to grow, i had some in my new jersey garden. loved the prune post too. prunes d’agen are one of france’s great gifts to the world. too bad it doesn’t know what it’s missing! I think this might merit a little bit of extrapolation. Why just the tips? I can’t imagine why. David, what glorious pictures. And what a beautiful post. It’s tough to be removed from the creative part, it’s cool you got away and to what an experience. I was laughing to myself a little while reading because I just commented on Twitter that I did not know how in God’s name you stayed so slim with all the awesome stuff you ate :). I so enjoyed these beautiful, bright photos. Nothing wrong with your writing, either, of course. Thanks! Sorry you’re swamped with paperwork. Would you like an assistant? I’ll happily move to Paris from the USA. You can pay me with pastry. Your photos for this post are especially beautiful. I particularly adore the pour of puree from the mill into the pot. I am curious about your style with coworkers while in someone else’s kitchen. Do you offer your suggestions to get shut down or ignored? Do you bite your tongue? Are you relegated with great good humor to status of Silly American? I assume you’re invited back so somehow the kitchen clash gets handled. Great photos! 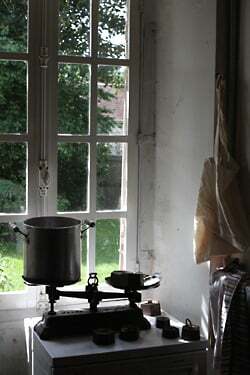 It made me think of the jam-making scene in Madame Bovary. The French people don’t eat any vegetables with the skins on, they have square pillows, and they are very leery of those “courants d’air”….all that stuff could kill you. And don’t even talk about an electric blanket!! I asked one of my French friends one time why she took the ends off the haricots verts and she said….”because my grandmother did”….so there you go. 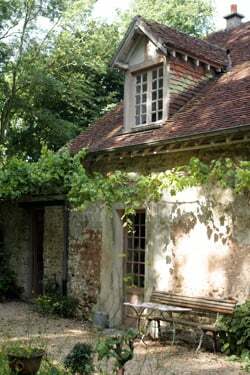 All that said, I’d rather be in my little cottage in France, surrounded by my friends and neighbors, than any other place in the world. As for language confusion, there is a character in a funny book, A Year in the Merde, who is an American translator living in Paris. His English has developed a very strange syntax, and I know the feeling very well. I can never remember what to call something in both languages at the same time. Thanks always David for your sense of humor……. Eye-catching pictures. I thought you were making cherry jam! What beautiful ruby jam and what a shame I can’t make it. Red currants are a bit on the obscure side here in Oz – I don’t think I’ve ever seen them to buy and certainly never growing anywhere. 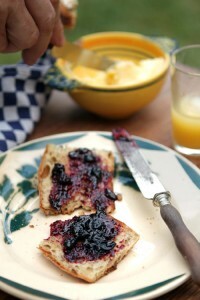 I agree with Flexitarian about not having to refrigerate the jam. 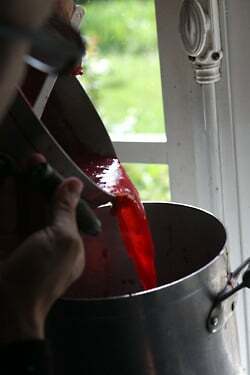 Have made many batches of raspberry jelly using the upside-down method. As for strange customs; my mother and mother-in-law wouldn’t eat an asparagus stalk unless those little green things were peeled off. I think they thought there might be sand in there. And A Year In the Merde is a super read! Poor David, sounds like it was a rough weekend. When I went to the Alps for holiday, at the end of August a lot of redcurrant bushes would be ripe and ready just under the skylift track. We’d pick up a big basket of it on the last afternoon of our holiday, bring it down to town with us and make the most delicioous redcurrant jam. 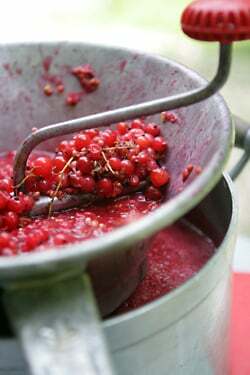 It is one of the most satisfying preserves to make, particularly so because redcurrants have a lot of natural pectin and the result is never runny. They are a pain to take off the stems though if you make that many! 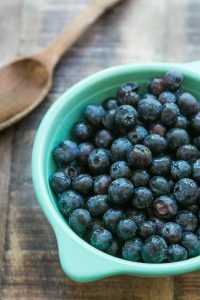 FUNNY FUNNY FUNNY – I know the post is about the berries and jam but I liked all the hard earned information that you have received and so lovingly pass on to us. Rose = fat, tomato skins, and so on. FUNNY! I am one of your silent readers(for 3 years? Is it possible 4?) and never left a comment but this was just so funny. I enjoy your blog and have used your Paris restaurant recommendations frequently. 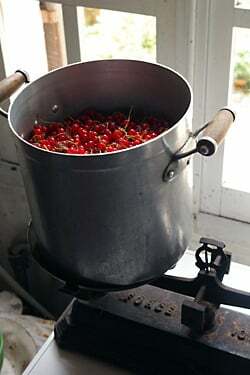 I am not a fan of kitchen tools that cannot multitask but I could really use something like that for my cherry jam. I’m trying to psych myself up to pit all those tiny cherries. Picking and pitting. I’d charge a bundle for those as well. Your photos, and writing, are both amazing, David! And that scale is making me home sick. Lovely! Reading this post was like taking a mini-vacation to France. Thanks for this simple and easy recipe. 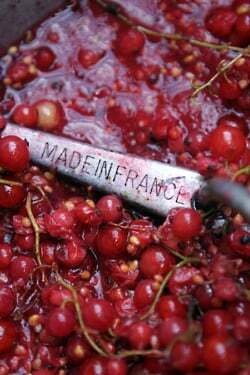 I just made some with the last quart of red currants picked from our garden in southwest France. The two small jars are cooling at the moment, but the scum was well jelled (ate it in a flash, right from the spoon). Very sweet but fine because red currants are so tart. No red currants here, sad to say. I do have some vines with table grapes on though, I’m hoping they will be ready in a few weeks (early varieties!). Oh, dear. Do wish I hadn’t read the bit about the radiation in the tips of green beans. I know it is absolutely apocryphal, but I am sure to remember it from now on every time I prepare the legume. It is like the comment I heard that you should never put your purse on the floor, as all the money will drain out. Now I never put my purse on the floor, even though I have little respect for the person who told me this. There is NOTHING (except the crottin de chèvre bien sec) that I love more in life than fresh red currents and red current jam! And I can’t find fresh red currents here (in Alberta), sadly. My parents had more than two acres of black currants. 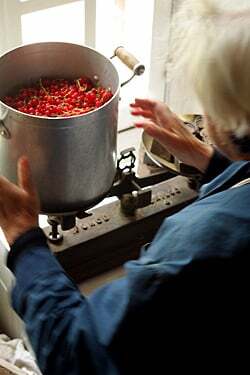 We would pick only the ripest ones several times in a season.. She would make either sirup or jelly by first stewing the washed and stemmed berries until the skins would break open, then strain them through a jelly bag (made with selveral layers of cheesecloth), letting the juices drip out overnight. She then would make either syrup or jelly. Those glasses filled with black currant jelly were cloudless and of the most beautiful jewel color when held against the light. She would also freeze big batches of stemmed berries, ready to be turned into syrup or jelly later in the year. sandra: Try out my recipe for Fresh Grape Sorbet for using up all those extra grapes. I also learned many new facts from this post! But, how does one peel a tomato? I cannot imagine the mess and the resulting soup that the tomato would turn into. Dear David – “Doe a deer, a female deer”. Two are still deer, not deers. Had to poke fun a little. Maybe you need to come back to the US for an extended stay to work on your English. And please come to Kansas City! It’s a nice place in winter – no. Summer – no. Spring (this one was more like Seattle). So how about a Fall trip? Love to meet you, dear! Thank you David. I made this recipe today with 1 kilo and it turned out beautifully. In the beginning I was afraid, that I had put too much water in the pan … but everything turned out as it should and now I’m the proud owner of four jars of lovely red currant jam. Thank you for the really inspiring photos. I love Current Jelly. I wish I had time to make some! Now it’s my turn. My sister’s 19th birthday is coming up this weekend and I’m making an ice cream bombe in memory of our childhood favorite, the Carvel vanilla and chocolate ice cream cake topped with chocolate crunchies, with an order of extra crunchies. Each and every ice cream we’ve churned out from The Perfect Scoop has become a favorite, but my sister has one that she just loves. The gianduja-stracciatella gelato. I’m at a loss of what two ice creams to pair it with. A coffee ice cream would be nice, but she’s anti-coffee. I ran an idea past her and she had two words for me. ASK DAVID. So here I am, asking. Any ideas? I’m forbidden from sharing my idea with you so I don’t influence you. But, hoping she won’t read this, my idea is to pair it with the anise and chocolate ice creams. And perhaps drizzle each slice with the lean chocolate sauce. What do you think? I’m a spaniard living in Ireland who happened to have 2lbs of redcurrants from a tree in my backgarden. I’ve never done anything with them until this year and google-ing for recipies came through your blog. Also let me mention that I remember my mother and grandmother always cutting the tips of the beans and always peeling tomatoes (no matter how they prepared them or conserve them) – why? Honestly I’ve never questioned it. How to peel them tomatoes? Easy!!! Cut an X through the skin at the bottom of the tomatoes, put them in a pan and pour boiling water over them. In about three minutes take them out (careful with the hot water) and the skin should come off as easy as a banana skin. Your photography is stunning. And I have never seen red currants for sale here in Texas, which is unfortunate, as I have several recipes that I’d like to try that call for them. I certainly love the red currant jam that I buy in our grocery store, but I bet it doesn’t hold a candle to this that you’ve made. Looks fantastic! A lovely post–the photos are wonderful. It makes me want to rush off and find some red currants and make that jam. Alas, I will have to look a long time–not a local specialty here in Maryland, to say the least. Wild raspberries yes, currants, no…. Thank you for the red currant inspiration! I’m often stuck with how best to use them, but the color (and I can imagine the taste) of this jam is reason enough to put in the time to pick the fresh berries. Radishes with buttered bread! I forgot how much I loved that! Oh, sorry…your post was on red currant jam, wasn’t it? I recently bought a $6.00 jar of red currant jam but I’d have much rather made my own. And the color-so beautiful! I’ve come to this post a bit late, but I just wanted to add that I make jam like this from all sorts of fruits all the time, and after turning the jars upside down for 5 min, there’s a perfect seal and the jars keep on the shelf, no need to refrigerate, for at least one year. Beautiful photos! I just got done making a batch of black currant jelly. Love the jam. I used to make currant jelly in Colorado where I could have the bushes. Now I can grow blueberries in Virginia and am currently picking from the bushes in my front yard. Both make wonderful jam, and home made is so much better! I’ve been doing jams and jellies for over 25 years, and even if not perfect they’re still dang good. Beautiful photos. What an artist you are! Thanks for sharing. I have always loved red currants as they remind me of summer holidays at my grandparents summer house near the Danube in Hungary. We used to pick them in our garden. 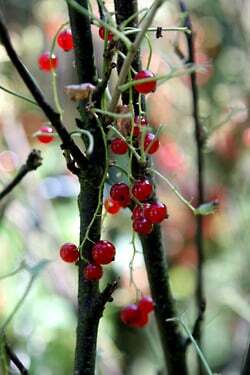 Now I live in Belgium and have my own red currants that came with the garden of the house we bought here. A couple of weeks ago I picked an unusually large amount, as most years the birds get to them first. It took hours to clean the berries, but it will be worth it as now I have a recipe to make them into jam! Not quite 5kgs but enough for my family. 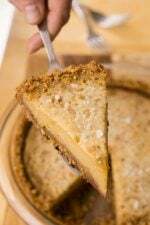 Thanks for your tales, the beautiful photos and the recipe!